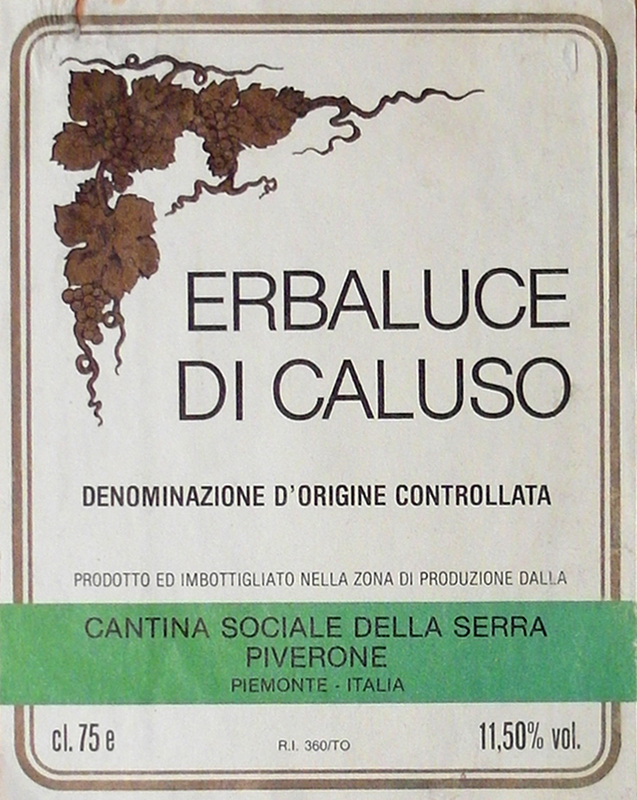 Erbaluce di Caluso was printed in large block letters. 11.5% alcohol. 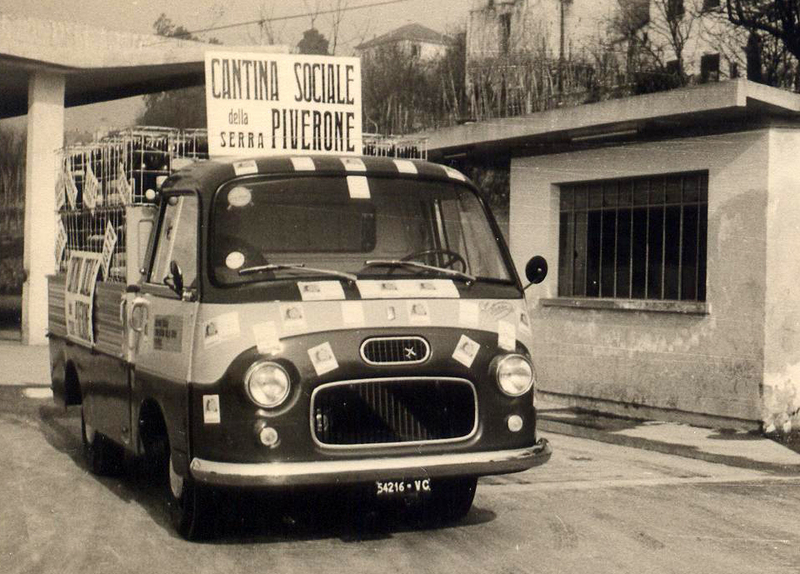 From the Cantina Sociale della Serra Piverone in Piemonte. The label had been soaked off its bottle. The wine had been drunk. And here was this simple little white label staring at me, as if to say, “You don’t remember me?” “Of course, I do,” I fire back. Meanwhile, I’m doing a search inside of my brain, looking for the moment when this label was pulled off the bottle, when we drank the wine, what the situation was, where I was, what I ate, who I ate it with. What happened then sent me careening down a rabbit hole of indentations far deeper than a single bottle. The year was 1982. The winery was younger than me, at the time, and I was only 30. This happens all the time when one looks at the history of Italian wine in the last 70 years. So much has transpired in such a small space of time. And that label, piercing my consciousness with its siren call. “How many lives are wrapped around this label?” it prods. How many dreams? How many hopes? All because of a grape with the improbable name of Erbaluce? And so it goes, for a time, as the transmission waves get clearer and faster and the call from the past unloads with its story. In fact, this wasn’t my first encounter with Erbaluce. In my work life, I’d seen one while doing inventory at my first distributor job in Dallas with a company named Estrada’s. 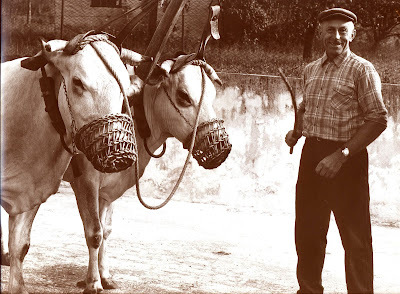 They represented Orsolani, which also flew the flag of Erbaluce from their post in Piedmont. 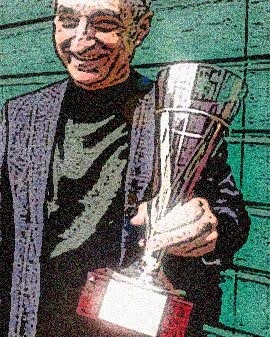 Often though, the wine, which didn’t sell so well then, was older, maybe a little “golder.” The long trip in unrefrigerated containers across the Atlantic, to land in Galveston and to sit in an ancient (and not air-conditioned) warehouse, only to be transferred up to Dallas, again in a truck without refrigeration, and to land, sit and sweat it out until some young fool would pick it up and try to find a home for it in North Texas. Eventually I made my way to the region and chanced upon Erbaluce in its native setting, on the tables of simple osterias, served with the local food. It was a revelation. Crisp, fresh white wine, dry and touched with a delicate herbal essence, nice fruit, clean, unimposing flavors. Just part of the configuration of indigenous life in that corner of the world – food, wine, everything. I came back to Texas with the fervent zeal of a missionary ready to convert all the unbelievers. There were many of those moments in the America of the 1980’s. Those who were to ultimately “discover” Erbaluce were still in toddler clothes. We’d have to wait for them to grow up and lead the way. 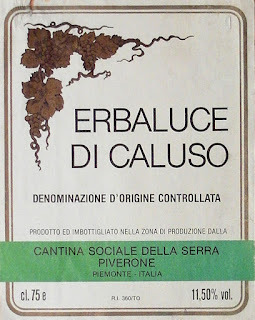 How difficult was it for Erbaluce di Caluso to get a toehold in America in the 1980’s? We often said, sitting around the table of our little wine office, thanks to the vin de paille from the Jura, Erbaluce wasn’t the hardest sell in our book. And look what a little darling vin de paille became. Fast-forward to the first decade of the 2000’s. I’m in San Francisco, in an Italian restaurant and on the by the glass list there it is, Erbaluce. The person behind the bar is really excited about this wine. “Yeah, it’s got acid, man. It’s a raw wine. I’m so stoked to have gotten a little bit of it for my disciples. Wanna try it?” How could I say no? This is how the ninth wave turned into a little tsunami. The I started seeing it in New York, in Berkeley (at Chez Panisse, no less), in Houston. In Kansas City! Wow, Erbaluce was all grown up and walking the catwalks of America, wine bars in Wichita, hipster hangouts in Red Hook, pop-ups in Portland. It even has its own hashtag, #Erbaluce. Wow, that only took half a lifetime. I’m glad the young pups discovered Erbaluce. I think about all those farmers and grape growers, back in Italy at the end of WWII, whose lives and land had been decimated by “another war.” How they got up in the morning, made a caffè latte and broke fast with a hard crust of stale bread and maybe a little jam, braving the endless fog, working their way out to a moment in time where the spotlight is now shining on them. Hey, even someone likes their dessert wine now, and their sparkling wine, even their “cru” wines. That is a righteously wonderful thing for our Italian brothers and sisters, who had the improbable task of growing Erbaluce, because it was there (and so were they). And they didn’t pull it up and plant chardonnay or pinot grigio, forsaking the legacy they were bequeathed. They stuck in there, made their wine and this new generation, thousands of miles away, felt their pulse and made it one of their staples. How freekin’ wonderful for everyone? Chez Panisse, good Lord! Erbaluce, all grown up and worldly! 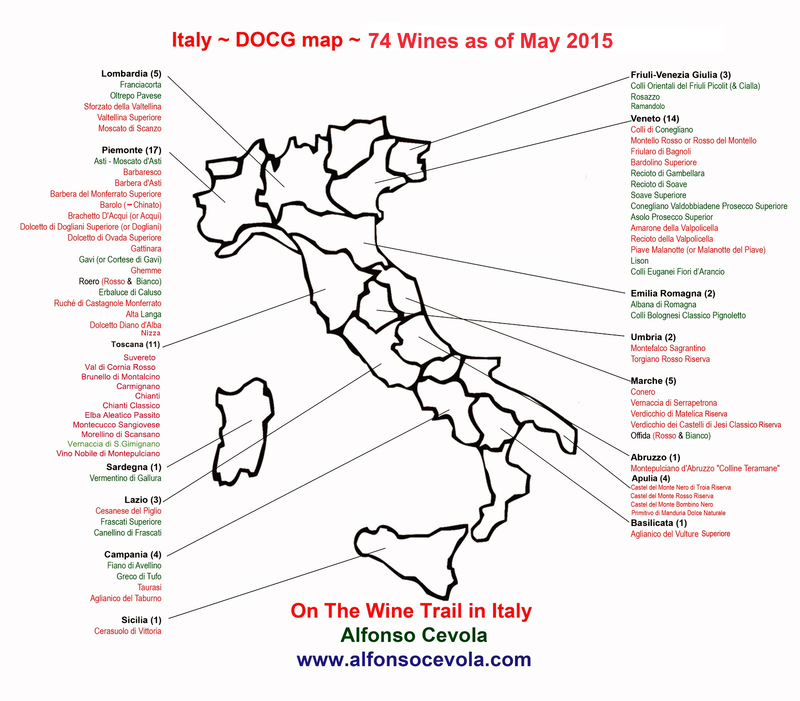 I am fan of Italian wines. Thanks for sharing this post.